13 LISTS Everybody's Doing ItLists about trends and fads that all the cool kids are doing around the world and throughout history. List Rules Vote up the pieces of pop culture you didn't expect to have an international fanbase. There are some strangely specific parts of American culture that are super popular in foreign countries. It's understandable why some pieces of American culture are popular overseas, like the Ukrainian people's love for Ukrainian-American David Duchovny, but other trends are just plain baffling. Few Americans would expect an ancient Donald Duck cartoon to be an integral part of Swedish Christmas, or that Japan would dig Little House on the Prairie so much that the series inspired a craft quilting industry. Whether it's due to a cultural lag, or a difference in aesthetic sensibilities, all of these has-been artifacts of American culture still have a devout following overseas. Just remember, with enough sound reasoning, absolutely anything can be considered high art. In America, Pabst Blue Ribbon is a cheap beer preferred by art school hipsters and blue-collar workers. In China, it's a luxury beer that costs $44 a bottle. Its packaging is often more elegant, and advertisements compare it to scotch, brandy, and Bordeaux wine. While the Chinese version is brewed slightly differently than the American PBR, it's still a $44 bottle of beer. Did the popularity of this surprise you? When Baby's Day Out was released in 1994, Americans weren't impressed. With a 21% rating on Rotten Tomatoes, the film about the adventures of the wealthy Baby Bink just didn't capture the American imagination. The same can't be said in South Asia, where the film is more popular than Star Wars (according to Roger Ebert's heuristic experience). In India, Baby's Day Out is so beloved that it has been remade twice; first in 1995 under the name Sisindri, then again in 1999 with the title James Bond. The original film has also been dubbed into Tamil, Punjabi, and Bengali. Exactly why the film is so popular in India is unclear, but one Reddit user, sapientmattress, has a theory as to why movies like Star Wars are more popular in America than less grandiose stories like Baby's Day Out. "...America does not have what we call mythological history. Most other countries and cultures have their own versions of mythological, magical super hero stuff, but these guys never had that. I think that sort of explains the huge success of Star Wars and the obsession with superhero movies in the US. And also why it seems pretty meh to us, who've been fed on a staple diet of a** kicking Gods." In America, Donald Duck is an easily recognizable, slightly hokey Disney character. In Sweden, however, the pantless duck holds considerably more clout. 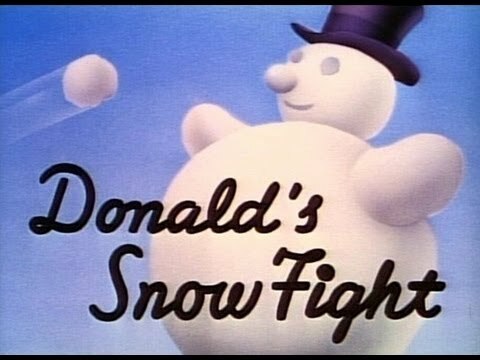 One of Sweden's cherished holiday traditions involves watching a Disney Christmas special called From All of Us to All of You, known in Sweden as Kalle Anka och hans vänner önskar God Jul (Donald Duck and his friends Wish you a Merry Christmas), or Kalle Anka for short. The program, which has been airing since 1959, shows Jiminy Cricket presenting a series of old Disney shorts, with several portions involving a live host. Many Swedish families plan their entire holiday around the program, and it's not uncommon for businesses to close while it's airing. Any time someone suggests that the network should modify the show or take it off the air, they are inundated with complaints. Kalle Anka is a cultural institution, but why? As it turns out, the special's popularity may have been an accident. When the show first aired, most Swedes were only just acquiring TVs, and those TVs only had a few channels. American cartoons were rarely broadcast, and Christmas was the only time most Swedes got to see them. The exclusivity made the shows seem special, which birthed the cult of Donald seen across Sweden today. While you might know that the American actor David Hasselhoff is a sensation in Germany, you might not have heard that ALF — the 1980s alien puppet living in suburbia — is at the very least equally popular. ALF was originally a sitcom character, but over in Germany, he's taken on a whole new life as a pop star. 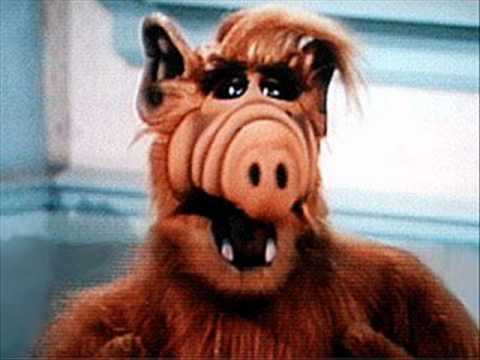 In Germany, ALF was voiced by Tommi Piper, a singer/actor who also helped dub Oscar the Grouch and Sulu of Star Trek. Between 1988 and 1991, Piper released two full-length albums and four singles as ALF. The songs included a love ballad called "Rhonda," and a rap entitled "ALF Wird Unser Bundeskanzler," known in English as "ALF Will Be Our Chancellor." "Rhonda" stayed on the charts for twelve weeks. After the musical stylings of ALF caught on in Germany, a few songs were released in the USA, but they never gained quite the same traction.